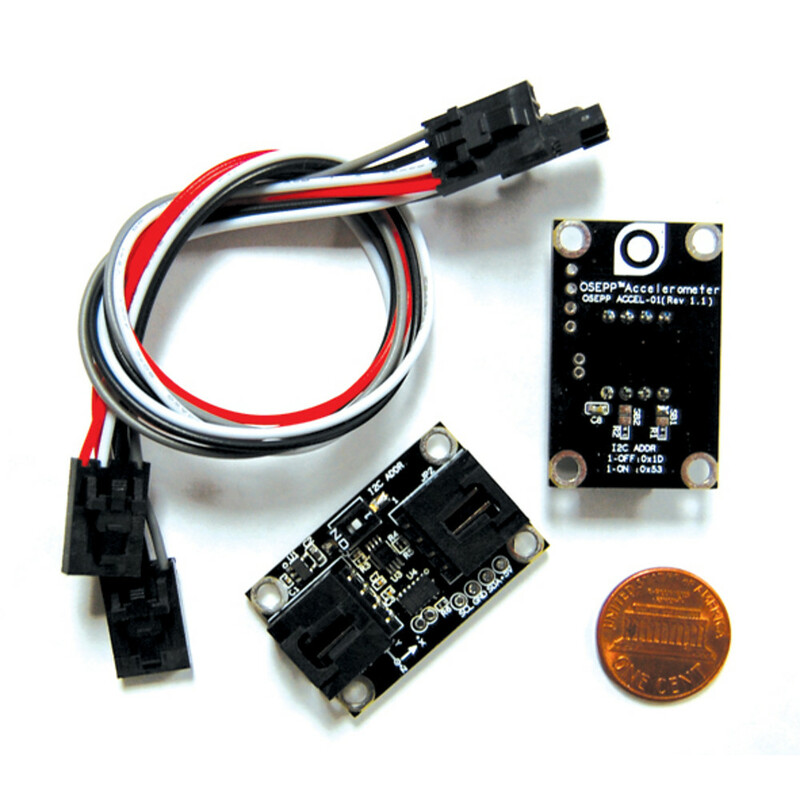 Accelerometer Sensor Module is a 3-axis acceleration sensor. It utilizes the Analog Device ADXL345 providing a high resolution measurement of up to +/- 16 g. The accelerometer measures the static acceleration of gravity in tilt-sensing applications, as well as dynamic acceleration resolution from motion or shock. Its high resolution enables measurement of inclination changes of less than 1.0˚. The module uses the I²C interface for data communication. The I²C lines are packaged with the power and ground lines into a modular connector, which allows easy plug and play operation. There are two connectors on the module to enable daisy chaining of multiple I²C devices together. The OSEPP Accelerometer Sensor Module combined with the OSEPP Gyroscope Sensor Module can deliver a complete 6-axis sensor for full motion detection.